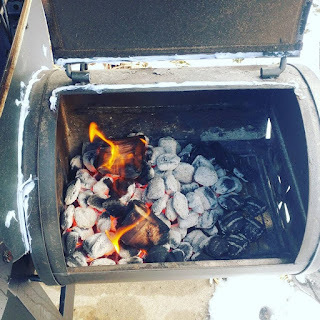 If you've following this blog lately, you've noticed more BBQ articles. That is because I got a new grill / smoker for Christmas this year, and I've been learning how to use it. This past Saturday, I smoked a whole chicken. 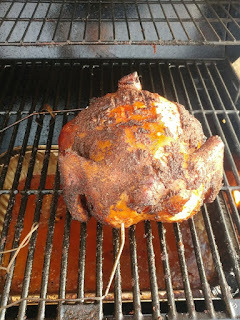 Of course, I've done whole chickens on my older gas grill a few times. This was my first time adding smoke flavor. 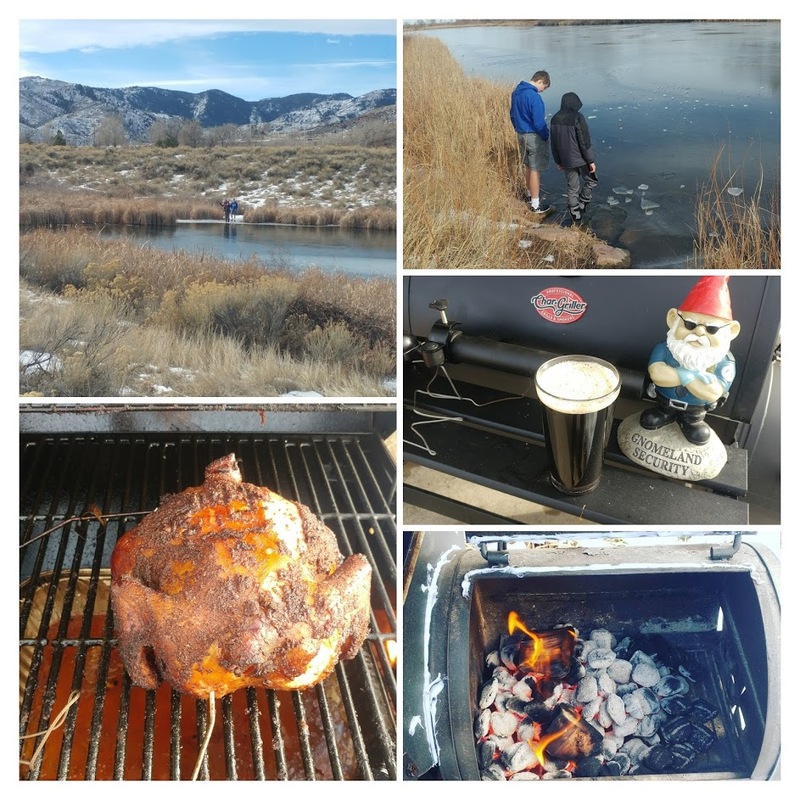 The past two smoking sessions (see First time Smoking Ribs and Hickory Smoked Pulled Pork) both used hickory wood for the smoke. 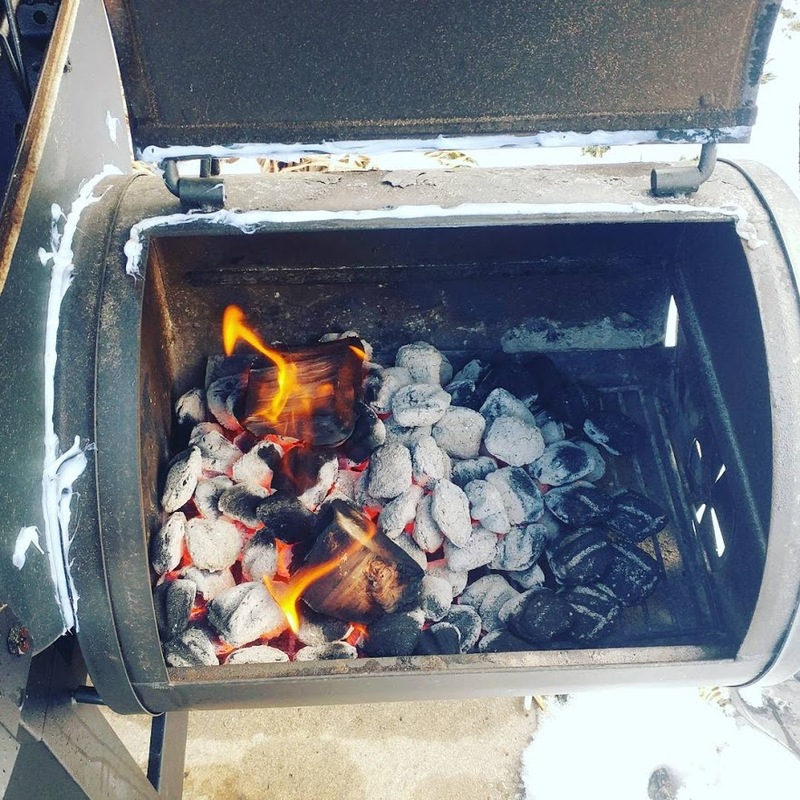 This time I decided to try something different, and I went with Apple Wood chunks. Add more water to make sure chicken is submerged. Leave in fridge overnight. At least 12 hours. Up to 48 hours. Unfortunately, I was running a bit late, and forgot the cooking oil. I also wasn't able to find cayenne pepper. I ended up making modifications to the rub without noting what those changes were. I was going to make this a Beer Can chicken, but there is a second rack in my grill area that makes it so a chicken won't fit standing upright. 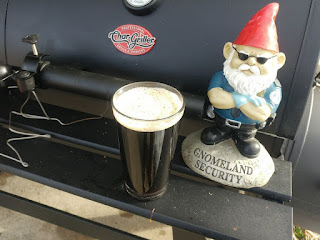 I'm still learning how to dial in the temperature of the smoker, and I still am tending toward the temperature being on the high side. For the chicken, I actually got started later than I had originally intended, and I decided to just go with the higher temperature. Especially toward the beginning I was up over 300. That is fine for this case, but I really need to figure out how to consistently be at 220 to 250. Anyway ... 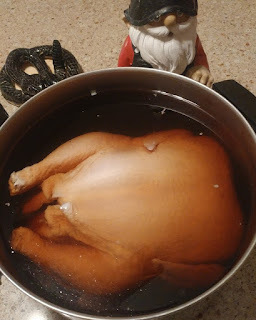 I let the chicken cook, adding Apple Wood from time to time. I also sprayed kombucha on the bird every hour or so. I also had a few homebrews. I have to say ... I really love the smell of Apple Wood smoke. It is different that Hickory (which I like as well). Maybe a little less strong and perhaps sweeter. It seems to work well with chicken. Some time between 3.5 and 4 hours, I got the internal temperature to 165ish in multiple spots around the chicken and called it "done". I let the chicken sit in a cooler while we went out to church. When we got home, the chicken was ready to eat. Everyone in the family really liked this chicken. It was nice and tender and the apple wood smoke was a nice flavor. The spices in the rub came through nicely too. Really a successful meal, and the left overs were great to eat as well. I will absolutely make this again sometime. 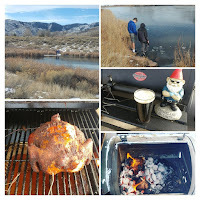 If you are interested in following my journey into learning how to BBQ and use my smoker, bookmark Sheppy's Blog: BBQ. Also make sure you follow the SheppyBrew Instagram and Facebook pages.